For my travel I rented a bike from this rental shop. 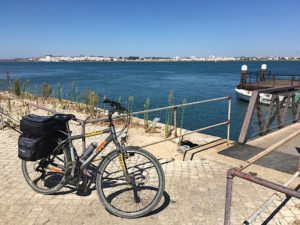 Megasport Algarve rents a wide range of bikes, offers a bike delivery/collection service for free in the whole region, organizes also guided and self-guided tours of the Ciclovia. Definitely recommended!